Faster transfer of photos and videos between two iOS devices at usb 3.0 speed, saving you a lot of time to deal with the photos when changing a new Phone or Pad. 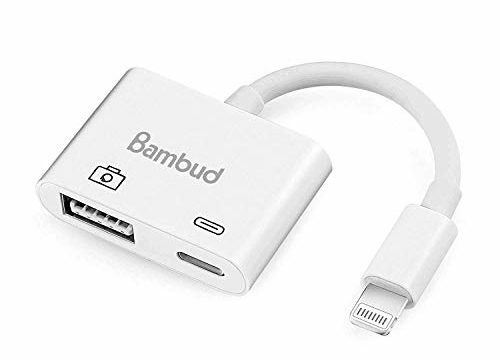 Connect usb peripherals, like usb flash disk, hubs, keyboards, audio/MIDI interfaces, ethernet adapters,card readers of SD and Micro SD and more, but note that this adapter does not support USB devices over 100mA current. The USB 3.0 Camera Adapter supports standard photo formats,including JPEG and RAW,along with SD and HD video formats,including H.264 and MPEG-4.